Not Peter, Paul & Mary, but it took me a while until I discovered the throughout talented people behind this strange sounding project-name since there wasn't an info-sheet available. 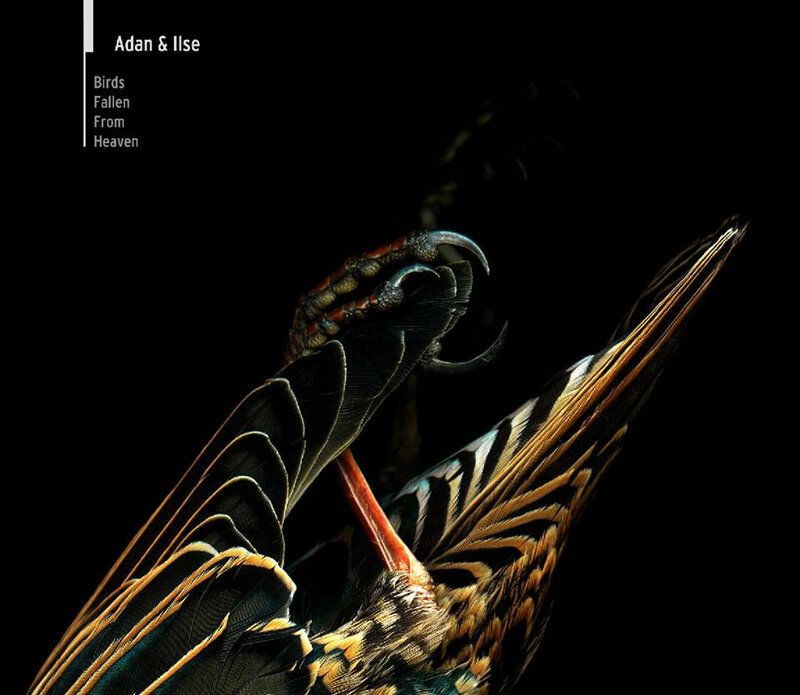 Initially, Adan & Ilse has started as a French Electropop-project consisting of Adan (Pedro Penas Y Robles - well-known for his activity under H.I.V.+), Ilse (Michel Lecamp = Usher / Ushersan, also part of projects like Norma Loy or Die Puppe). Newly Peter Rainman of People Theatre has joined forces to produce the music content, so from now on Adan & Ilse are acting as a trio. 'Birds Fallen From Heaven' is already the third album release under the Adan & Ilse moniker and it seems that these fine talented gentlemen would like to point out, that Synth-/Electropop can have a quite experimental note. Strongly inspired by some early 80s Post-Punk- / New Wave-productions this album differs a lot to your usual Synthpop-listening experience of up-to-date productions. While the music flirts here and there with glorious Kraftwerk-heydays and focuses to install as much as possible pure analogue sounds, the vocals itself and especially its kind of performance surprise and reanimate lots of remembrances on the early works of Darrin Huss (Psyche) for instance. Not every track lets the listener sink down in ecstasy but as a whole you'll get the impression to hold a perfect relic piece of art in your hands. Haven't it been such bizarre, never-before-discovered vinyl albums found in alternative record stores in our salad days, which brought up the satisfying feeling to have hunted successfully something special? 9 original tracks plus four quite remarkable foreign remix contributions are filling this album. Favourites, and as for my part I tend to name the more accessible tunes, can be named with opener 'Boys In Eyeliner', the hypnotic and dark sounding 'Kind Of Blow' (... have they installed a saxophone here?) and the bit harsher 'Skin (Succomb To The Bliss)'. The remixes and here especially the ones by Sonic Area on 'Kind Of Blow' and the one of 'By The Way' by Novo bring up a more EBM- (Novo) and Dark Electro-related (Sonic Area) side of the sound of Adan & Ilse. This is a nice soundtrack for a journey into the musically quite more innovative days of the 80's. It's doubtful if the youth of today is able to appreciate the effort, but generally this one reflects perfectly the sound which has been nearly forgotten. It is quite good and entertaining produced.